Today’s homebuyers can have specific ideas and personal preferences that influence their decision on what attracts them to a particular property. While some prefer a fixer-upper, many desire a home that’s as close to turn-key as possible. 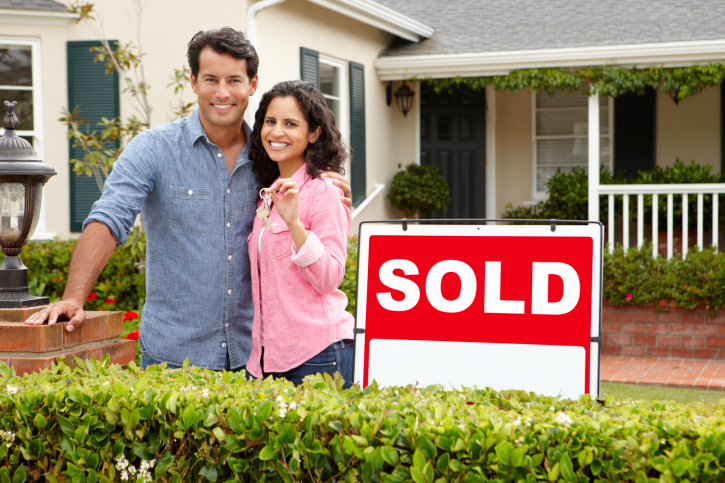 First time home sellers may help expedite the process with these six home selling tips. A home priced competitively in its market typically sells faster. Professional REALTORS® know the area and look at comparative listings to help determine the right listing price. First time home sellers often think their home should list higher, and this can turn away buyers. Trust a real estate agent to know the right price that will attract potential buyers for a sale that makes all parties happy. A fresh coat of paint on the front door, clean windows, and a sidewalk swept free from leaves and debris also add to the overall welcoming look. Once potential buyers enter the home, it’s time to make another important impression. Homebuyers should be able to visualize themselves living in the space. De-cluttering and depersonalizing the home helps. The fewer items in a room, the larger the space feels. Key areas to de-clutter include the kitchen and bathroom, in particular the countertops. Remove all personal items, storing out-of-sight in a closet or cabinet. In addition, remove personal photographs and large collections if possible. Children’s rooms don’t need to be completely depersonalized, but it’s essential to de-clutter the space to show it to its best advantage. Every home has a few small items that need repair but have fallen to low priority. Before listing the home, take the time to make these repairs and replacements. Tighten that loose cabinet in the kitchen, replace the torn bathroom window screen, and refresh the caulk in the showers. Sometimes it’s the little things that turn off homebuyers and these small repairs may be the tipping point for a sale. In a competitive market, offer extras to entice buyers. Generally, these extras are appliances that stay with the home as part of the sale. Other extras a seller may include within the price of the home are items like window treatments and outdoor accessories like patio furniture. A pre-inspection can help reduce concerns potential buyers have regarding the home’s current condition. It’s a way to reassure buyers that the house doesn’t have any hidden issues. However, getting a pre-inspection doesn’t mean homebuyers won’t want their own home inspection, too. Consult with a real estate professional to help determine if a pre-inspection may be helpful. First time home sellers don’t have to be overwhelmed with the process. With the right preparation and the help of a professional real estate agent, home selling can move swiftly.